Dubai’s airport retailer accounted for 5.19 per cent of global airport duty free business and almost three per cent of the wider duty free and global travel retail business. 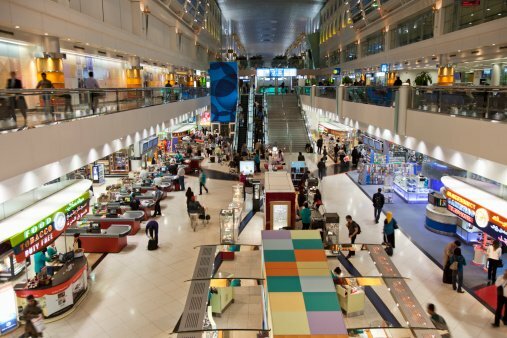 Airport retailer Dubai Duty Free (DDF) has been named the world’s largest single airport retail operation based on the sales figures of $1.8 billion it earned in 2013, according to analysis by independent researcher Generation Research. This is the fourth time that DDF has been named the largest retail operation, ahead of Seoul Incheon, Singapore Changi and London Heathrow airport. The Dubai-based airport retailer was previously named the largest in 2008, 2009 and 2010. Global duty free and travel retail sales were valued at $60 billion in 2013, representing a 7.5 per cent increase over the previous year. Airport duty free sales accounted for $34.67 billion of that business, with the remainder coming from ferries, border shops and airlines. DDF accounted for 5.19 per cent of global airport duty free business and almost three per cent of the wider duty free and global travel retail business. In the Middle East, the value of airport-based duty free sales reached $3.9 billion in 2013, representing a 10 per cent increase over the previous year. Out of this, DDF accounted for 45.73 per cent of airport sales, a statement said. The UAE also ranked seventh among the world’s top 25 countries for duty free and travel retail shopping, taking 4.1 per cent of the market share. “This is a dynamic part of the world in terms of airport retail and the continued investment in airport infrastructure reflects that,” said Colm McLoughlin, executive vice chairman of DDF. “At Dubai Duty Free, our expansion plans continue in line with the development at Dubai International Airport (DIA), where our retail operation will reach 33,000 square metres with the opening of Concourse D next year. DDF said that it continues to see positive sales growth in 2014 and is forecasting to conduct sales worth $1.9 billion this year. Gulf states have been investing heavily in building and expanding airports as they look to increase passenger numbers, supporting the airport retail growth as well. Recently, Dubai ruler Sheikh Mohammed bin Rashid Al Maktoum approved an expansion plan of the emirate’s second airport. As per the plan, Dubai will spend up to $32 billion in a bid to expand the Al Maktoum airport’s capacity to handle over 200 million passengers annually over the next decade.